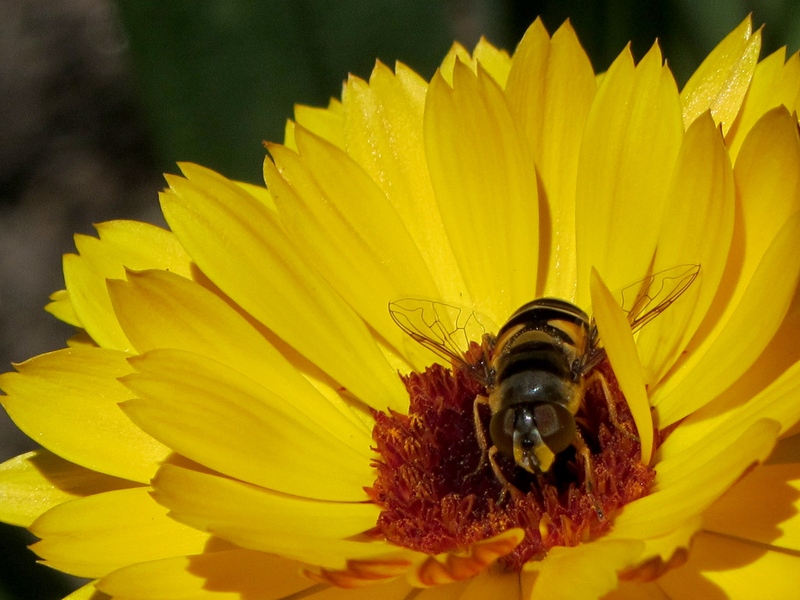 The flower is a Coreopsis and the insect is not a honeybee. The metallic highlights make it look artificial; if I wasn’t there in person, I’d think it was CGI, too. It’s underexposed by about one stop to prevent those mirrored body panels from burning out and to saturate yellow petals in direct sunlight. Hand-held with the Canon SX230HS in macro mode, then cropped to 1600×1200 without any resizing at all; it’s now the background for the landscape monitor.